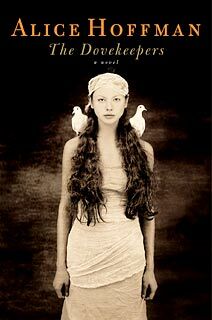 I just finished reading The Dovekeepers by Alice Hoffman and realized I’d been holding my breath. What a phenomenal story! It is one not to be missed. I have heard the story of Masada many times over the course of my life, yet I never knew much about it. What I do remember is sketchy at best. Thanks to this historical fiction book, I now have a much clearer understanding of what transpired prior to and during the Roman siege of Masada. Told in several strong female voices, the story is fascinating. The only difficulty I had while reading it was discerning whose voice was telling the story until I figured it out a few pages into the new section of the book. That was annoying to me, but the story was so mesmerizing, I forged ahead even when I felt lost. There are a number of central characters in the book whose lives are intertwined and I got confused from time to time, but Hoffman planted enough clues that ultimately, I did not remain lost for long. I wholeheartedly recommend this book as a must read. Well done Alice Hoffman! This entry was posted in Uncategorized and tagged Alice Hoffman, Jews, Masada, Romans, The Dovekeepers. Bookmark the permalink.